After 3 years at Canterbury University Barry joined the NZ Police in Christchurch and later transferred to Gisborne CIB where as a Detective Sergeant he held the role of Crime Prevention Officer for the Gisborne District along with his other general duties. Transferring to Otahuhu CIB, Barry was promoted to Detective Senior Sergeant and spent half of his 23 year career in the Police supervising and controlling often large groups of Detectives and other personnel engaged on some or other serious crime. These last three years were as Officer in Charge of the Henderson District CIB.During these years, Barry was involved in many confrontational situations such as the nuclear protests; the well known ‘Springbok Tour’ protests; and many many more of a lesser nature. He also had to plan, organise, and command a large number of operations often involving large numbers of personel. On promotion to Inspector at Auckland Central Barry held the portfolio of Officer in Charge of Civil Defence for the Auckland Region as well as running a section of Police and civilian officers.During his Police experience Barry became skilled at dealing with the general public – both good and bad – and became an effective controller of personnel under his direction. He also developed public relation skills and recognises the importance of forming good working relationships. 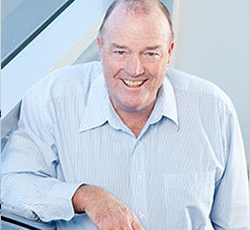 After leaving the Police, Barry joined United Cleaning Services at Auckland International Airport where he accepted responsibility for running the (then) biggest cleaning contract in New Zealand with up to 160 employees and 40 + contracts of greatly varying nature.Barry was there for 13 years before being ‘headhunted’ and taking up the position of Marina Manager at Pine Harbour Marina. He was again ‘headhunted’ and became the Business Development Manager building the Hobbs Wharf boutique marina off Gulf Harbour Marina.When Gulf Corporation Limited went in to receivership, Barry joined Prestige Protection as the Security manager.